Handmade and hand dyed in Long Beach, CA using 100% natural 3-strand cotton rope and colorful eco-friendly dyes. Collar rope ends are hand-spliced the traditional sailor way to withstand the strongest pull, and whipped (nautical term) with earth-friendly biodegradable hemp twine, for extra durability. The splicing and whipping technique has been used by sailors to secure their ropes for hundreds of years. 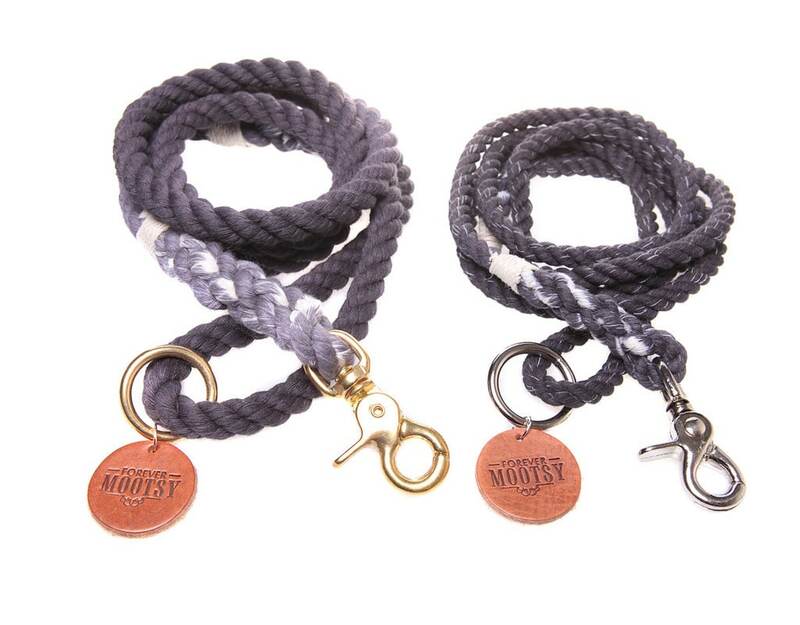 Cotton rope is soft, lightweight and sturdy, providing these collars with a comfortable feel for your dog. The beautiful hardware and hand-splices used in this product gives it a unique rustic appeal. 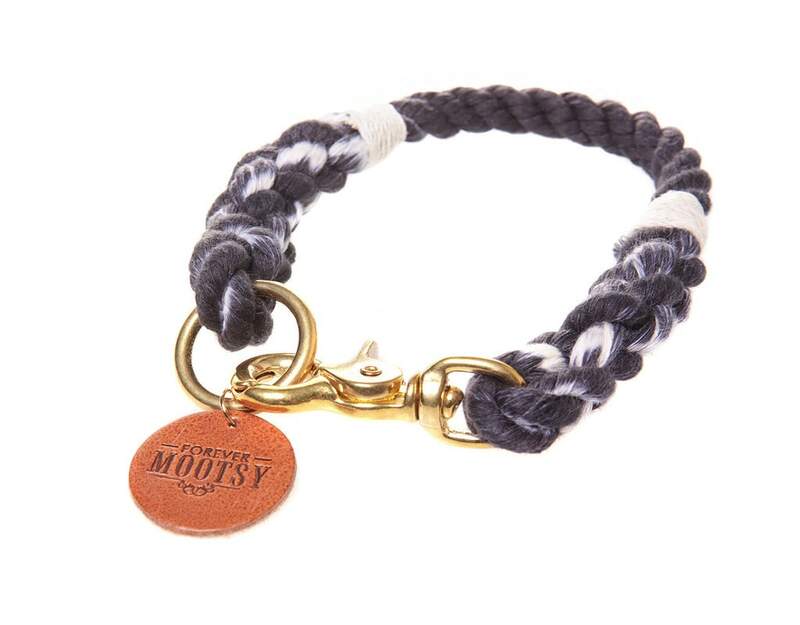 Designed to add a little touch of color & style, making walks with your pooch extra fun! Matching leash sold separately. 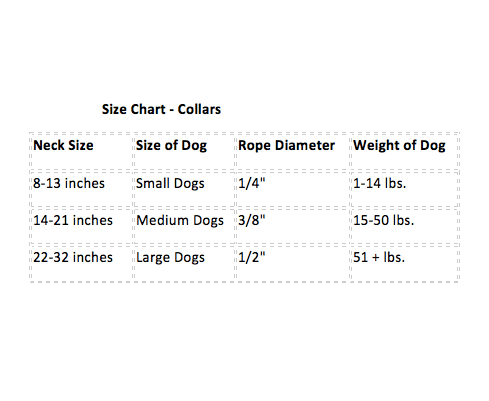 (MEASURE DOG'S NECK SIZE) Collar is non-adjustable; therefore, measure your dog's neck where collar would sit, then add two inches for the perfect fit. See size chart. (FEATURES) 100% all-natural cotton rope, Earth-friendly biodegradable hemp twine, Swivel trigger snap in brass or nickel, Welded O-ring to attach a personalized tag, Eco-friendly colorful dye, Detachable genuine leather logo tag, Dust cloth bag to put away when not in use (CARE) Hand wash & hang to dry.